Absolutely delighted. Delivery very fast, good communications and when it arrived it was very easy to construct. Would recommend. 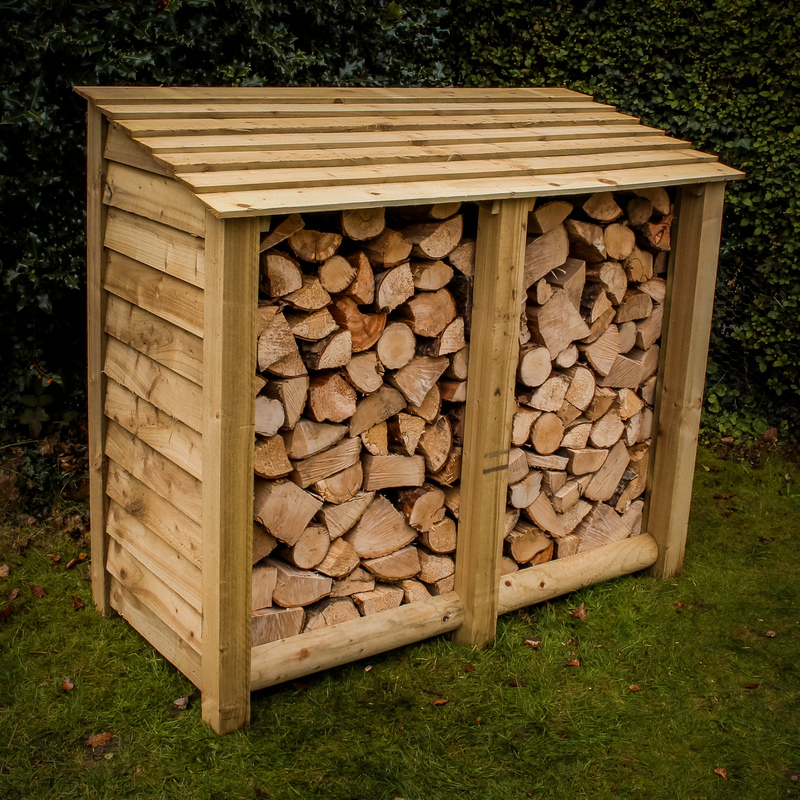 Excellent log store, well built and easy to assemble. Order placed Saturday and arrived Tuesday, great value for the price. Very pleased with our new log store. 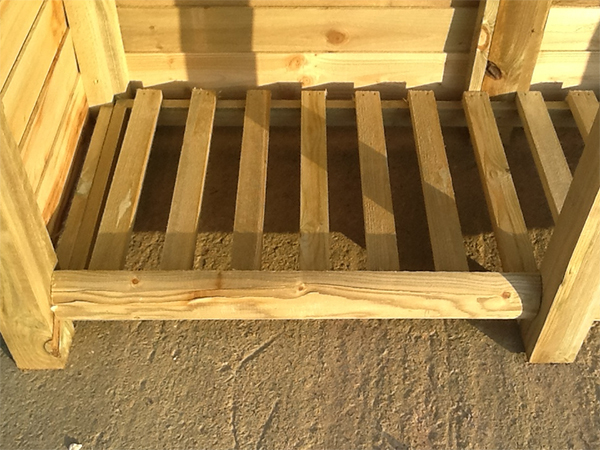 Very sturdy and far better than flimsy alternatives seen in DIY stores. Assembled within an hour. Highly recommended. First up, great communication and delivery was as agreed. Second, the log store is excellent. 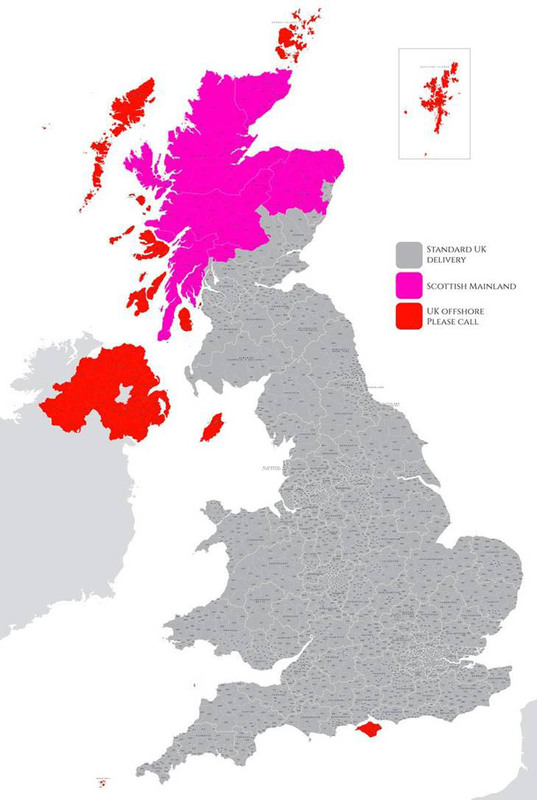 It is well built and easy to construct. Much better than the poor quality we saw at garden centres. We are very impressed and highly recommend. I just wanted to mention that the log store arrived early Saturday morning. It was easy to construct and looks really good. Quality is excellent – much better than those we saw in some garden centres. We are impressed. Great log store, easy to put together, but going to need a second one! 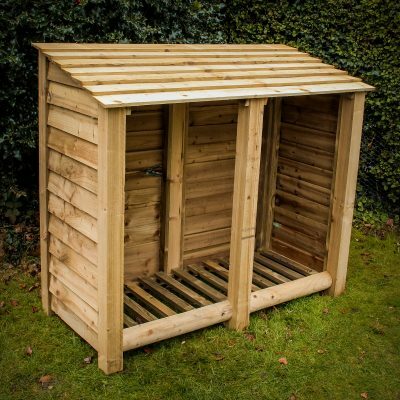 Excellent log store and excellent service – it doesn’t get any better. I ordered it late on a Tuesday evening and it arrived on Thursday. Assembled with my wife in just under an hour – use a power screwdriver for ease. It’s sturdy and looks as good as the photos. Also good ventilation without letting in the rain which is important. Good value for money. Highly recommended. 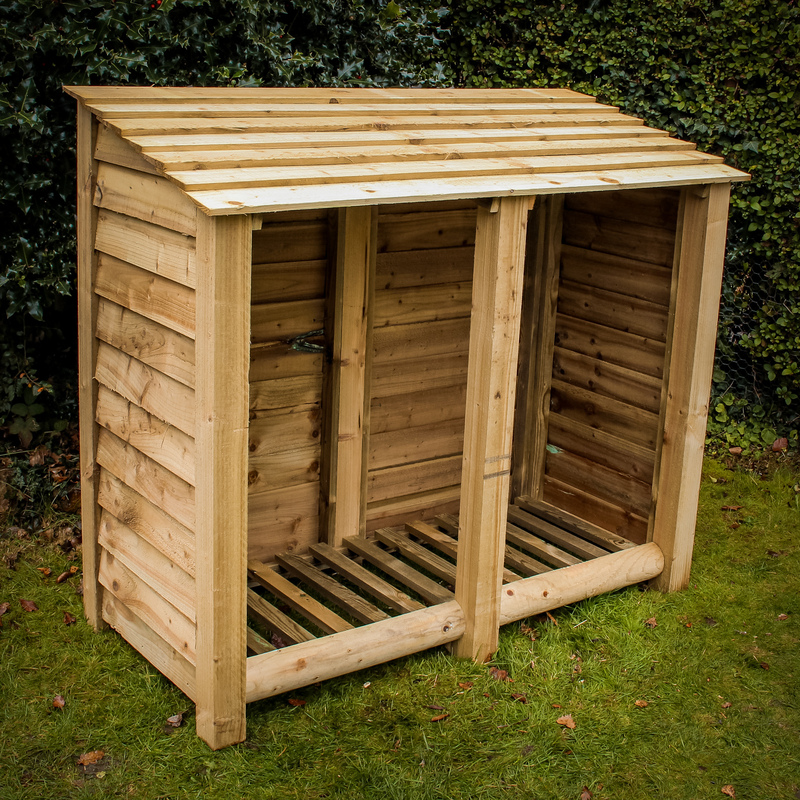 Ordered the large log store at £159.99 inc. delivery. Good delivery service, with good communication too. Expected to need a hammer but no, you only need a phillips head screwdriver, ideally electric. To put it together there is a bit of flipping it on it’s back and holding posts whilst screwing, so unless you are an octopus, and as mine was the large one, would recommend 2 people. All assembled in less than an hour. Very sturdy construction, good value, very happy. Amazing quality! So much better than those seen in garden and wood strove centres. Would definitely recommend. Also simple to put together, took less than 30 minutes! Much easier to do with two people, but can be done by just one. Very straightforward assembly with all of the holes already drilled and some of the screws inserted to point you in the right direction. You do really need an electric screwdriver. Very easy to follow written and picture instructions. Quality product, well worth what I paid. Recommended. 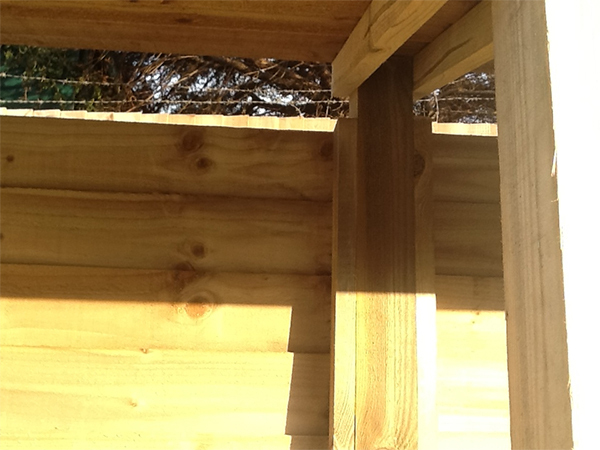 Fantastic product – fast delivery – easy to erect & very very sturdy with 3 x 3 corner supports. 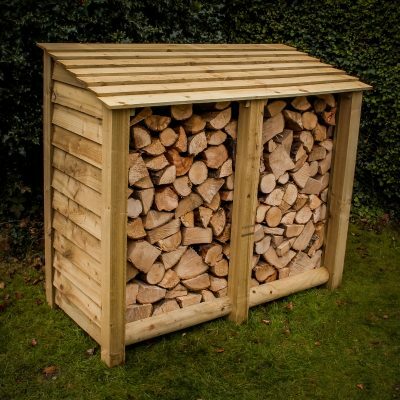 I recommend this wood store to anyone – do not even look at others you will just be wasting your time! Log store received- Thank you. Quality piece of kit. Assembled in 20 minutes. Looks great. This was the second log store we’ve ordered from Logstoresonline, and both the service we received and the quality of the product are superb. Very highly recommended. Very impressed with our new wood store. Easy to build, sturdy and good quality. Woodstore arrived the day after ordering, as promised. It was easy to assemble and is very sturdy. We are extremely pleased with it and wouldn’t hesitate to recommend. We searched online before purchasing and believe that this product represents excellent value for money.